Texas vs. Oklahoma: Food Fight! Oklahoma's nut is a saucy little thing, spilling out from a cornucopia of flavor. 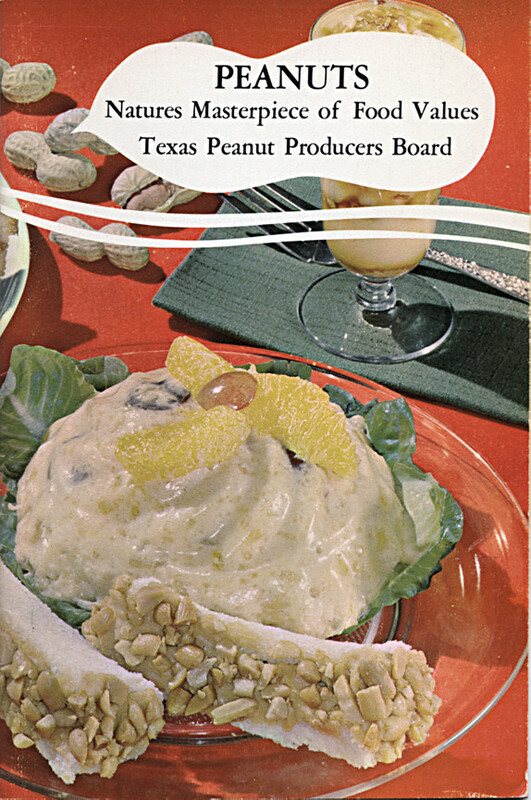 The Texas legume attempts to give promises of higher-class fare with an artistic theme. 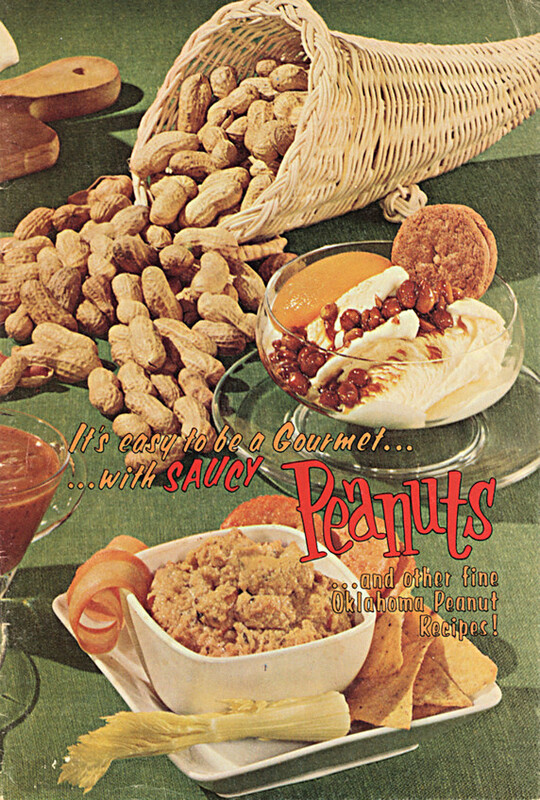 Note how the peanut is "talking" via the peanut-shaped bubble. Astoundingly creative, no? Both feature completely unidentifiable foods including Roughage Surprise and Alien Filled Bread.